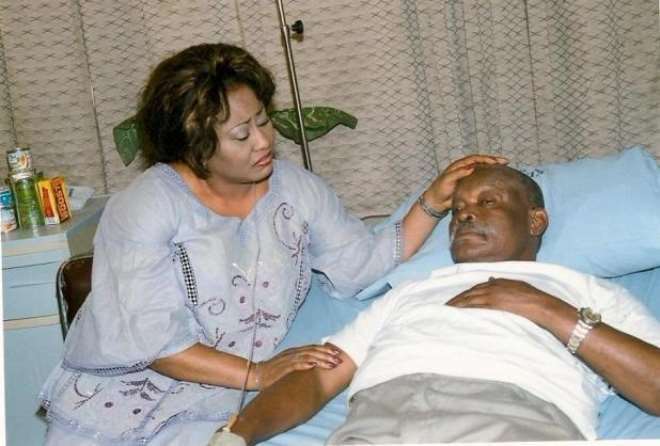 Before now, veteran Nollywood actor, Enebeli Elebuwa has been battling with an ailment which has practically rendered him bedridden. In 2011, he was admitted to St Nicolas Hospital, Yaba, Lagos but was later moved to St Topaz Hospital, Surulere, Lagos where he was reported to have had partial stroke but treatments from these hospitals did not make him be how he used to be as an active actor. 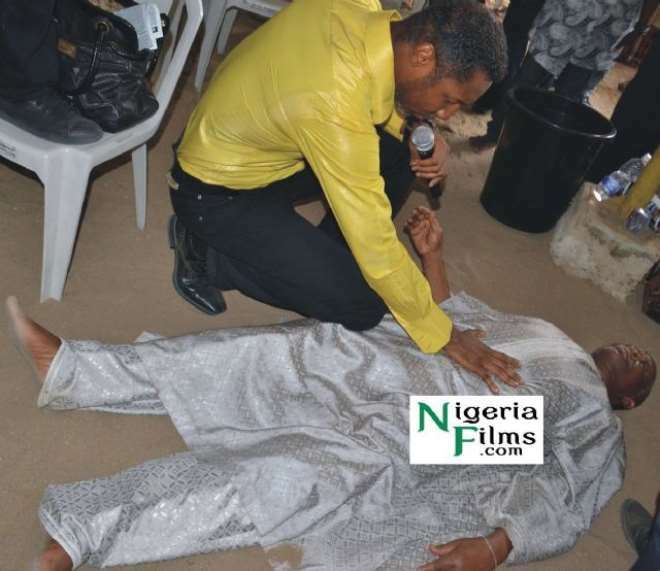 In 2012, he was reported to have walked after attending a miracle service at Dr Sign Fireman's church at Aguda, Surulere. Weeks after, he reportedly claimed that his 'healing' at Fireman's church was fake. This raised controversies over his health. He was later said to be receiving treatment at an undisclosed Abuja hospital which Stella Damasus was reportedly footing the bills. Nollywoodgists.com can authoritatively confirm that Enebeli Elebuwa is currently receiving treatment at an Indian Hospital. According to our findings, the 66 years old actor is at the Asian Institute of Medical Sciences (AIMS), New Delhi, India. According to a mail made available Nollywoodgists.com, Chief Surgeon, Chairman & MD of AIMS, NK Pandey, "We are indeed very honoured that Enebeli is recovering well and has chosen AIMS for his ongoing treatment under the Neurology department." Speaking about his condition said Dr.Sushil Garg, consultant, Neurology department, Asian Institute of Medical Sciences, "Enebeli is suffering from multiple ischemic infarct in the brain due to uncontrolled hypertension and diabetes mellitus which are usually described as small infarcts in the brain , due to which that area becomes dead. He is now advised physiotherapy with control of hypertension and diabetes mellitus and is undergoing the same in Asian Institute of Medical Sciences. He is showing signs of improvement and is stable." Enebeli was quoted in the mail to have said, "The correct diagnosis at Asian Institute of Medical Sciences has given me hope. My movements were quite restricted earlier but the diagnosis and subsequent treatment at AIMS has given me hope. I am satisfied and there is no cause to complain. I am undergoing physiotherapy and my rehabilitation is well underway at AIMS under the guidance of Dr. Sushil Garg of the Neurology department at Asian Institute of Medical Sciences."